BusinessesForSale.com spoke to Tom Malcom Green about the journey of his family candle-making business from a Sussex kitchen to becoming a luxury brand. Niche products have the potential to make big money if they can capture the hearts and purse strings of the right consumer. With the aim of becoming an expert in a particular section of an already established market, niche businesses cater to a more defined and often overlooked market segment, rather than selling to the masses like the chain stores or the supermarkets. Inspired by initiatives like Small Business Saturday, more and more people are shopping small and choosing quality over quantity and price. One of the enterprises involved in the nationwide celebration of small businesses taking place on Dec 5th are luxury waxsmithsWick & Tallow. Wick & Tallow was founded in 2011 by twin brothers Tom and James Malcolm Green and James’ wife Alice. They launched their first range of luxury scented candles two years later, becoming the brand they are today. In 2009, Alice Barrow ‘saw a niche in the market and set out to fill it’, setting up her own home fragrance stall on Portobello Market selling hand-made scented candles and other homewares. 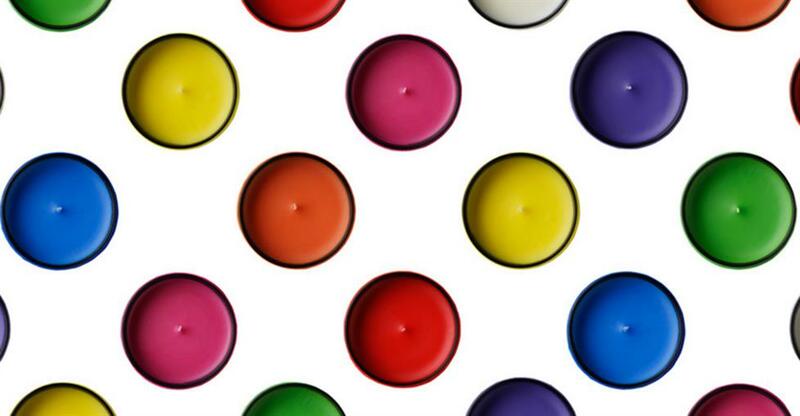 Alice soon realised that candles were the most popular and decided to make them her focus, creating hundreds of candles each week from their home kitchen. Alice told us that she taught herself, learnt through ‘trial and error’ and that each candle cost her between £2.50 and £3.00 to make. Tom and James’ family have a background in the trade: their parents owned gift shops and ran an import company supplying soaps, bubble bath and candles to large luxury retailers such as Fortnum and Mason and Selfridges. The market was the perfect place to start and their candles proved so popular that they soon had a loyal customer base. Alice told us that when she started ‘the market was booming’, however, after a while ‘Portobello went through a bit of a lull’. Tom told us that they needed to ‘stand out from the competition’ and this is why they chose their ‘eclectic and design led’ product with its black glass and coloured wax. They also spent a considerable amount of time designing their bold, branded packaging to add to their signature design. He also emphasised the importance of focusing on developing a quality brand that suits the needs of your defined customer base. The aim within a niche business is to be the best that the market can offer by fine tuning your product and paying attention to details. Tom told us that Wick & Tallow are proud of the response from their customers and from the support of the press ‘championing British brands’. Since their humble beginnings at the kitchen table, Wick & Tallow have forged a reputable luxury product. Since BusinessesForSale.com last spoke to them they have ‘had a fantastic year developing new products and building their brand’. Tom told us that they have grown their bespoke service into designing candles for other luxury brands and that they have also expanded their office space, having previously sub-let a large portion of it to their PR team who have now moved upstairs. They have also collaborated with several large brands and released a charity candle for Sugarplum Children helping to raise awareness of Type 1 diabetes. And his advice to business owners? ‘It takes time and diligence to build a successful brand. You can never expect it to happen overnight and attention to detail is crucial’. Do you own a niche business? Or are you thinking about starting one? Do you have what it takes to carve a niche? The haulage industry is big business, but there are many things to be taken into account.